How are things going with these special education cuts after time has gone by? I’m looking at what’s happening currently. Let me know of any program cuts in your school district and I will write about them. This was originally posted August 25, 2015. The U.S. Department of Education says higher expectations mean more tests for students with disabilities (with Common Core’s PARCC and Smarter Balance), and college for everyone. Along with this, we are also watching serious funding cuts to special education services in school districts around the country. Stop Common Core NYS criticizes recent policymaking that claims there will be fewer alternative tests for students with disabilities. Students will instead be expected to take tests like PARCC and Smarter Balance connected to Common Core–and they will need to be college and career ready. Decisions surrounding all of this should be between parents and teachers creating the IEP at the school. We know the U.S. Department of Education is overstepping their bounds. While the ante is being raised for students with special needs, they are also losing what little support they had. They are left with no safety net if they don’t do well on the tests. The services cut could, unfortunately, be exactly what students need to help them really get to college. While special education should be evolving into something better (more individualization for all children and even a different name perhaps?) that is not what we see today. What we see are top down mandates by a few parent groups, politicians and corporate shills—many who have no background working with children. Unbridled cuts to critical services affect all areas of special education including students with dyslexia, autism, emotional and behavioral problems or serious cognitive disabilities. Students who are gifted or twice-exceptional are also discounted. The Council for Exceptional Children voiced concern about such cuts in 2013 with their report Voices from the Field. There is a concerted effort underway–there has been for years–to get rid of special education. It is cruel and not what you would expect out of a great country. In New Hampshire they passed a 7.5 million reduction in special education, $4 million cut to the Department of Corrections, and $2 million in cuts to nurses in a New Hampshire hospital. In Tennessee from April 2015: In the state budget approved last week by the Tennessee legislature, the district received an additional $20 million but also $4 million in cuts to special education, prompting district administrators to scramble to build some positions back into the budget and ultimately frustrating some board members. Chicago will grab $42 million from special education, cutting hundreds of paraprofessional and teacher positions, and they are closing special education centers. At the same time, Minneapolis wants to dismantle its successful program for students with autism. Vermont is cutting programs to their Department of Corrections including a program to help offenders earn diplomas. In Hawaii, even though the budget office said they shouldn’t make any cuts to special education, the Department of Education officials told school board members they wanted to cut $9.15 million from the roughly $326 million in general-fund special education spending because of a likely reduction in state tax revenues. The proposed cut represented a 2.8 percent reduction. They seem to have money in Florida! They prioritized school choice, setting aside $23.4 million for scholarships for children with special needs. How those choice schools are accountable is anyone’s guess. But policymakers seem to always find money for privatization. The discrepancies between rich and poor is felt in Kansas, where poor schools have tattered books for their special education students, but in wealthy districts they get iPads. Like many schools across the country, schools in Oklahoma had a serious teacher shortage due to past cuts, but they were able to fill most special education positions this year. I wonder about the credentials of those teachers. North Carolina, like a lot of states, has underfunded or frozen education spending in special education in the past. In 2012, there was grave concern about the strange funding formula that appeared to create inequities in special education funding. In 2012, in one of the most ridiculous moves, the U.S. Dept. of Education withheld $36 million in funds for special education to South Carolina. Why? They were punishing the state for cutting its own special education spending three years earlier (Shah, Nirvi, 2012)! 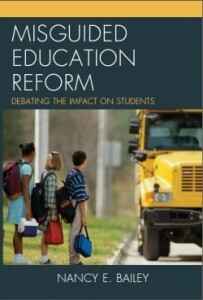 Remember the education sequester? Special education and poor children wound up being hurt the most according to this article in The Atlantic by Laura McKenna. According to Education Week, an auditor has found that New Mexico has a $100 million special education shortfall, and they also have a dispute with the U.S. Department of Education over how to calculate their funding. Will this be another South Carolina where they strip funding sources for special education altogether? There is much more. I will continue to follow what the states are doing and add to this list as time goes by. Let me know about what you see in your state. For two years I have written on my blog about the loss of special education. My website includes programs to support special education. In my book, I have a whole chapter dedicated to the loss of special education. The latest testing fiasco is one more step in the direction of eliminating all programs for students with disabilities. Shah, Nirvi. “Ed. Dept. Slashes S.C. Special Education Budget, Permanently.” Education Week. Oct. 18, 2012. Thank you Nancy for your advocacy. I’ve published a set of 10 “Critical Questions about Computerized Assessments and SmarterBalanced Test Scores” http://eduresearcher.com/2015/07/06/critical-questions-computerized-testing-sbac/. In case it’s helpful for your work, thought to pass it on. All best and please continue to keep us informed of these updates. Thank you, Roxana, for your advocacy! Great questions and blog. Thank you for sharing. We have to all work together. What is happening in education is so ridiculous and simply illogical. Raising the expectations for special education students while cutting funding is like loading more responsibility on an employee while cutting their salary. Do they think they can squeeze blood out of a turnip? Thank you for keeping us all up to date on what is happening in special ed., Nancy. 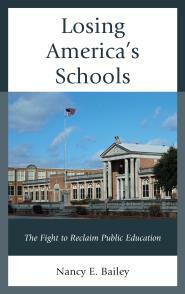 We all need to know what is happening to our educational system–it is critical to the well-being of our country. I am a special ed teacher with a disability. Not only do districts dictate what accommodations they will allow for students, they don’t accommodate teachers who need accommodations either. It is happening in NJ, too. The districts have been flat funded for six years, but expenses keep going up. They have cut extracurricular, cut music and art, coerced expensive experienced teachers to retire, and still there is not enough money. They have begun to go for the special education funding, using federal and state funds to replace local funds, instead of using them to provide the extras our kids need. Our kids can’t pass the tests, so they are expendable. How sad, Sue. NJ used to be known for their great schools. Thanks for sharing. I am a special education teacher in Texas, and am dual certified (high school math and spec education ec to 12) I recently (after 6 year) switched to another district since my previous one had basically abducted me back into general education after 3 years of special education work. In my new district I think they have actually done one worse yet. I am technically a special education teacher, I have a caseload and all the responsibility of a special education teacher and even receive the special education stipend (only 500 a year more than math teacher), BUT…… they have also given me 3 periods of general education mathematics classes? and only 2 periods of special education classes; all the while we have overcrowding in our special education class. An inclusion class of 24 with 10 of which are special education students, yeah they are getting the services they deserve? so my question is :Is it legal to make a special education teacher teach both special education classes and general education classes in the same school year .? And if not legal how can I become a whistle blower for this Situation? I am tired of seeing under serviced special education students suffer academically only to benefit the general education student, so the school can feel like they will preform better on state exams. I think I would check with the district special ed. director. I was once asked to teach an English class and the director said no. Good luck, Shane. I think it might be against the rules. I’d be curious to know. Our specual edu director is aware of it, and has made some comments to the principal but it isnt gonna to change anything. Aside from that maybe TEA? In my situation which was years ago, TEA did have it addressed in the contract. You are right. I hope you have it written in the contract!